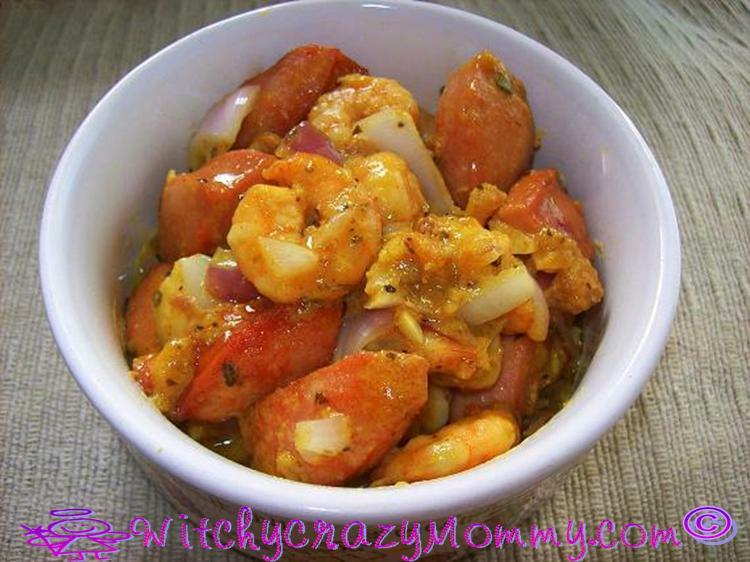 Here's an easy recipe I whipped up one morning, made with shrimp and Cervelat sausage. You can actually substitute with any type of mild flavored sausage or even hot dogs. I don't really know what to call it, I was thinking along the lines of Cajun cooking but the spices and sausage I used didn't fit. So whatever, if you can think of a more exciting name, I'm open to suggestions. 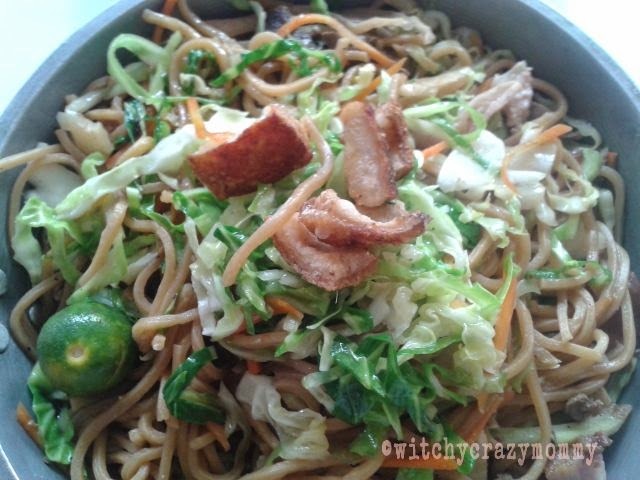 The main thing is, it's fast, easy and tastes absolutely awesome! 1. Clean the shrimp, make sure it is shelled and deveined. You can cheat like me and buy it all spiffed up by your fish monger. Frozen can also be good but I'm not such a big fan of frozen shrimp. 2. In a shallow pan, heat some oil and sauté the onions, once it turns pink add the garlic, sausage, shrimp, and other spices. Sauté for like 3 minutes until the shrimp turns pink. Add salt and pepper to taste, and a little water to get all the spices to come together and form a thick sauce. 3. Simmer for a minute or so and serve hot with rice. **You can make it a little more spicy by adding cayenne pepper, best served with an ice cold beer! @Natalie - I usually don't have names for what I cook, something was all I could think of :-). Try it and let me know how it goes. I like shrimps ... gonna try this weekend!